Two TV gardeners are helping Ourburystedmunds’ popular Whitsun Fayre bloom this spring as it celebrates its 20th anniversary. Katie Rushworth from ITV’s Love Your Garden and Joe Swift from BBC 2’s flagship gardening show Gardeners World will be talking about their work and answering gardening questions in Bury St Edmunds town centre over the Whitsun Bank Holiday weekend. The free event, which started as a flower and plant market 20 years ago has now grown to a fun-filled family weekend that’s not just for the green-fingered. This year it will once again see Angel Hill hosting the motorsports show that was part of the event for the first time last year. Other attractions include fairground rides, the ever-popular urban beach, a range of stalls and animals at the family-favourite mini-farm. Chief Executive of Ourburystedmunds Mark Cordell said: “You could say we are going back to our garden roots with this year’s anniversary event. We’re focussing on flowers, plants and gardening and with Katie and Joe’s help on Sunday and Monday respectively, we will have an entertaining and informative programme on the stage outside Moyses Hall. As we are immediately after the Chelsea Flower Show we hope people who’ve been inspired by watching it on TV will want to find out how to create similar gardens at home. Some stall space is still available to any gardening related exhibitors who want to attend and stage slots for floristry or garden related demonstrations may still be available. For more information about exhibiting, contact Jackie Regan on 01284 766258. Admission to the event is free and it runs from 10am to 4pm on Sunday 28 and Bank Holiday Monday 29 May. 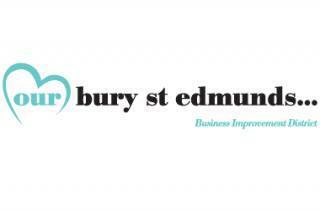 For more information visit www.burystedmundsfestivals.com.